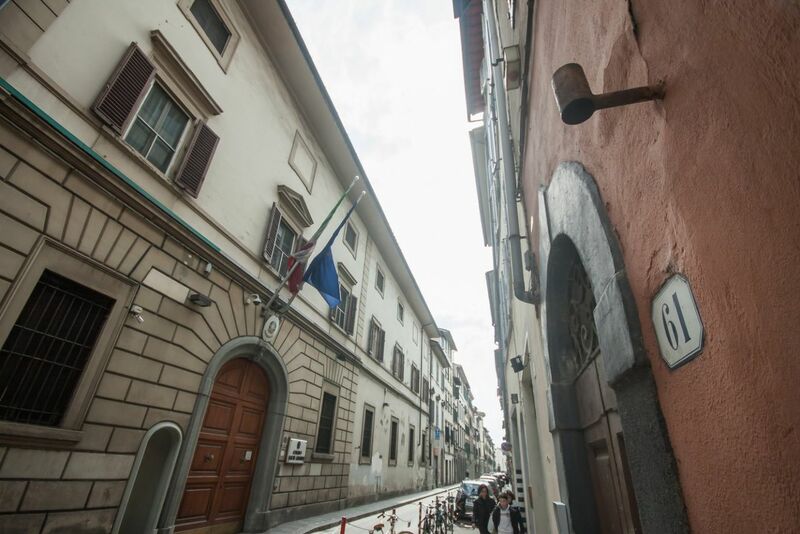 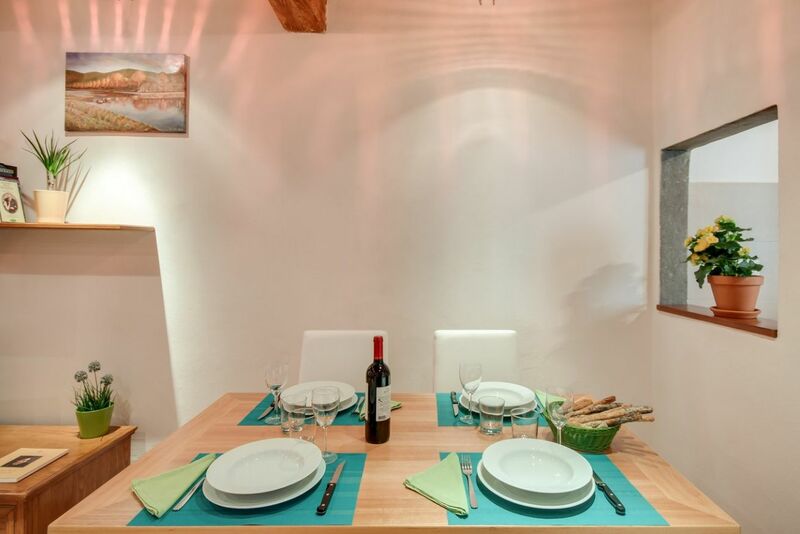 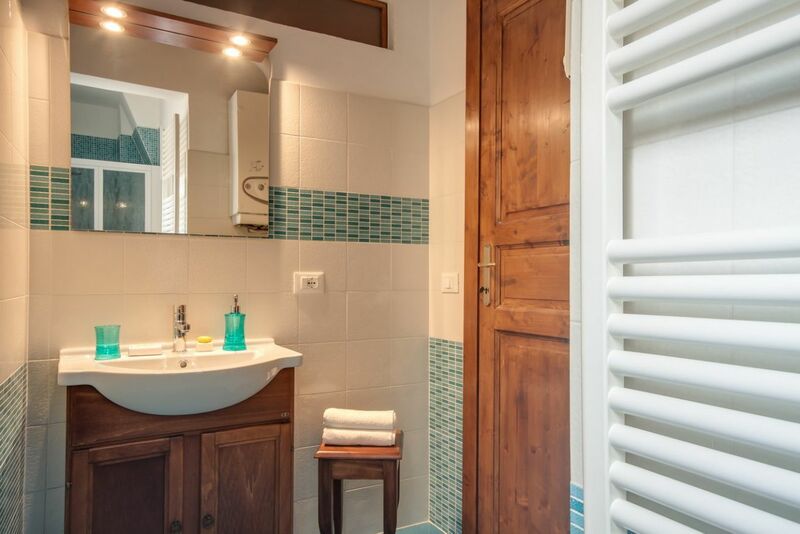 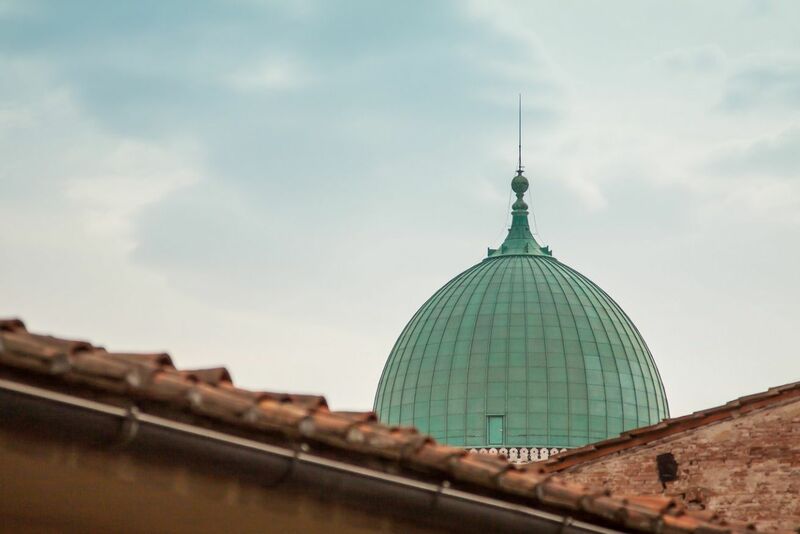 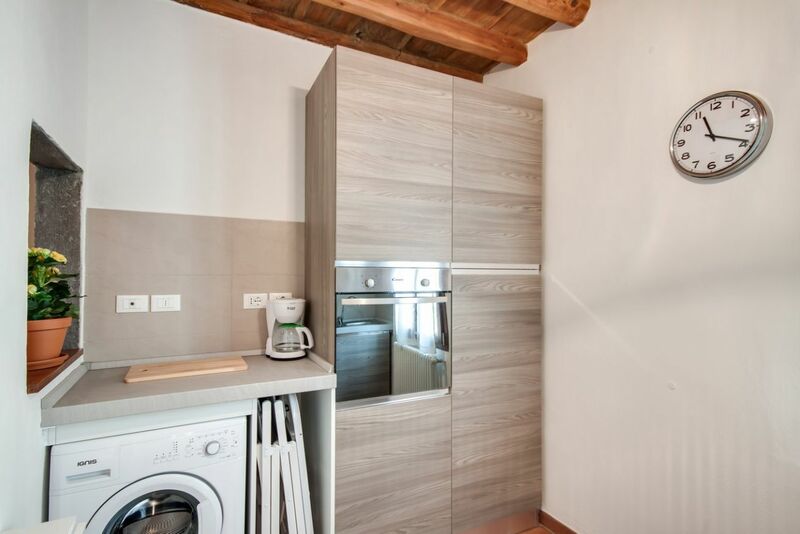 The apartment is on the third floor of a typical Florentine building in the beautiful district of Santa Croce. 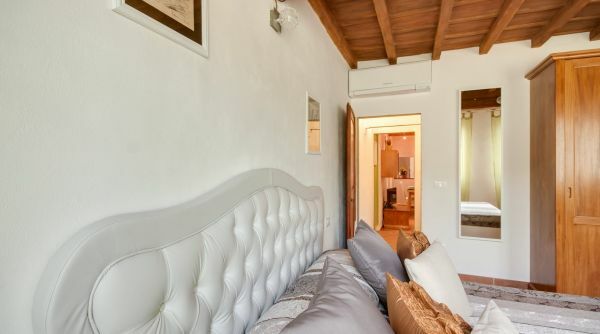 It consists of a double bedroom with two big windows spacious and very bright. 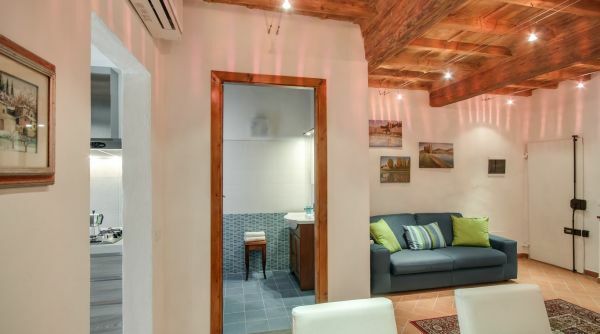 The entrance is in the living room where there is a comfortable double sofa bed , a dining table for six and a flat screen TV with satellite system. 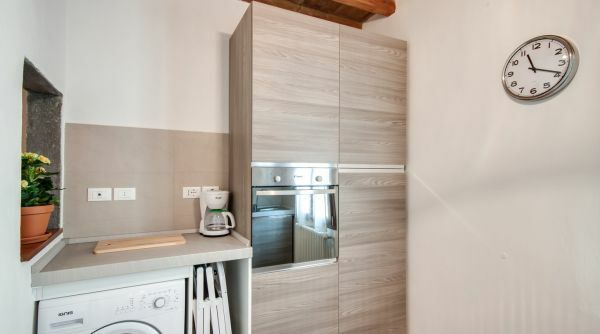 On the right is the kitchen fully equipped with fridge, oven , washing machine, dishwasher and microwave. 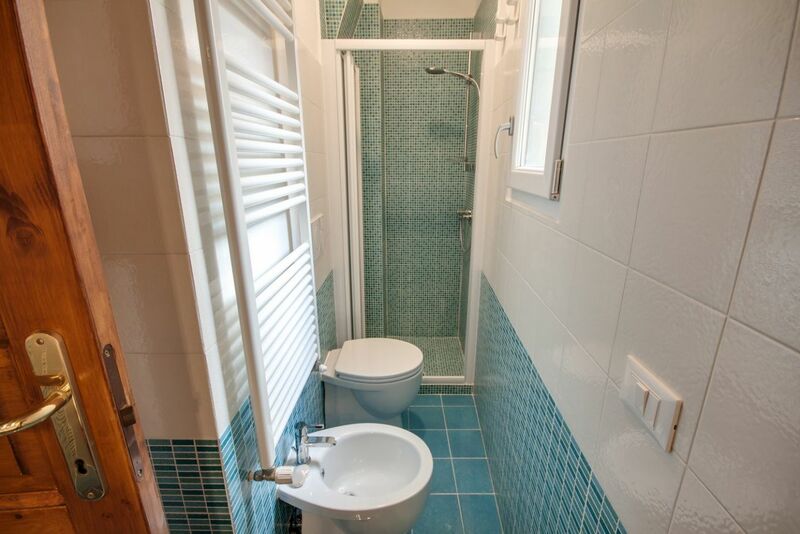 The bathroom has a shower, bidet and all necessary comforts . 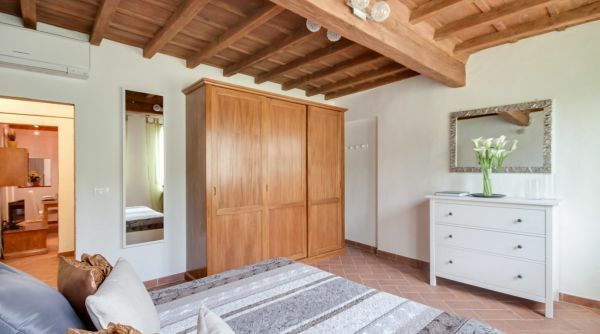 On the left is a large bedroom with double bed and memory foam mattresses , large wardrobe and chest of drawers . 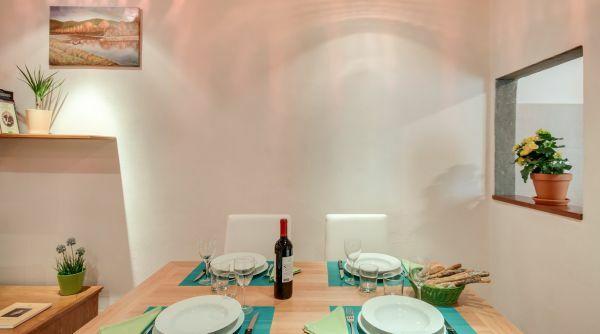 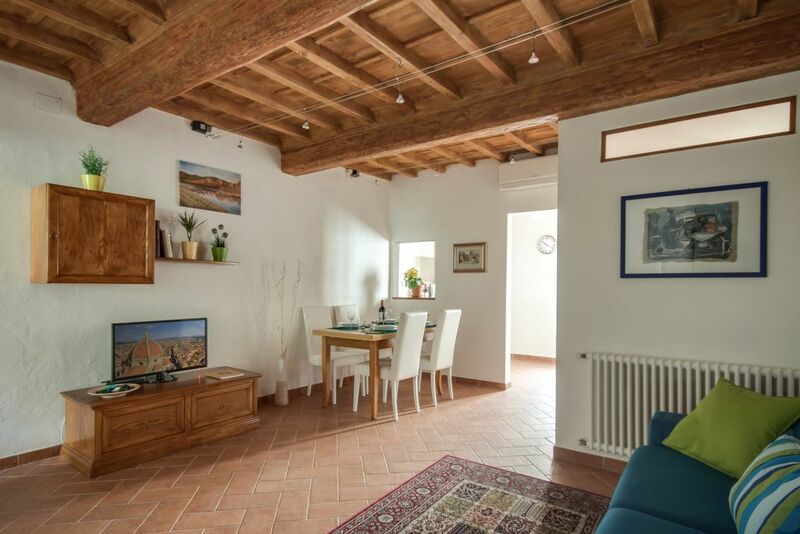 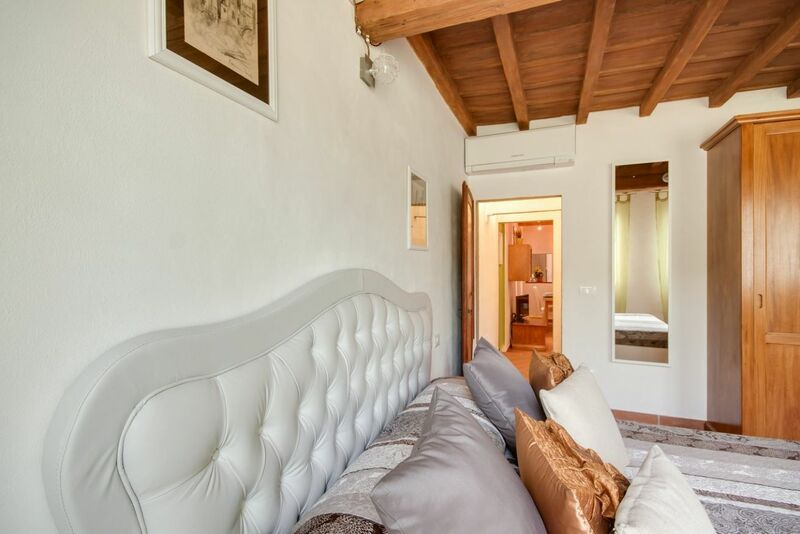 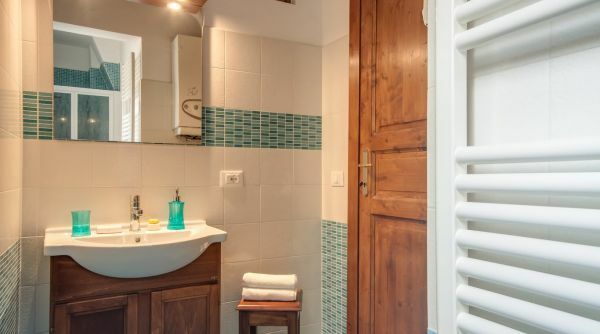 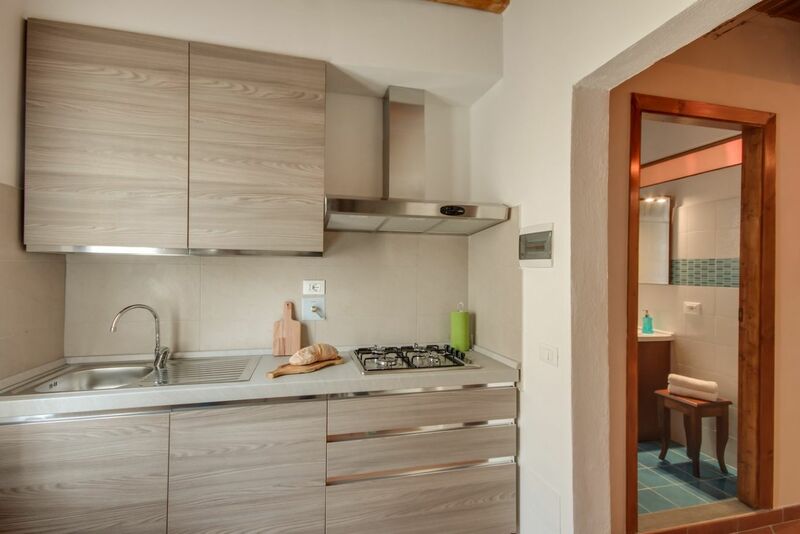 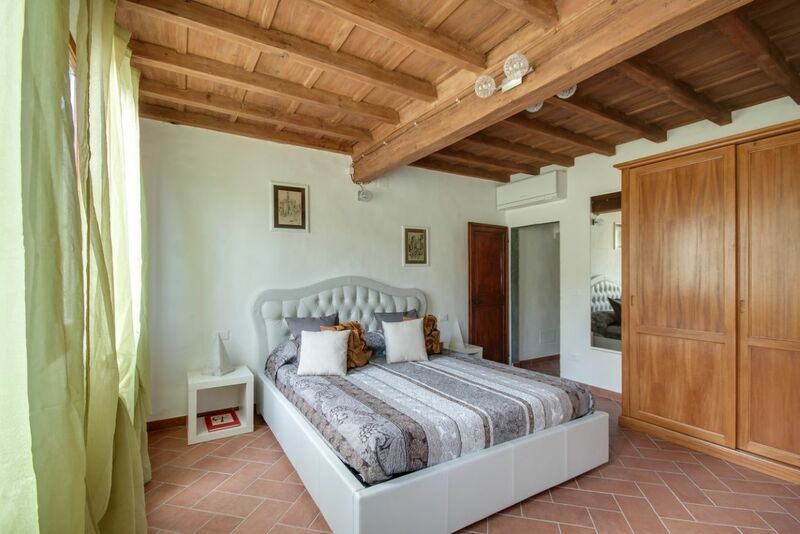 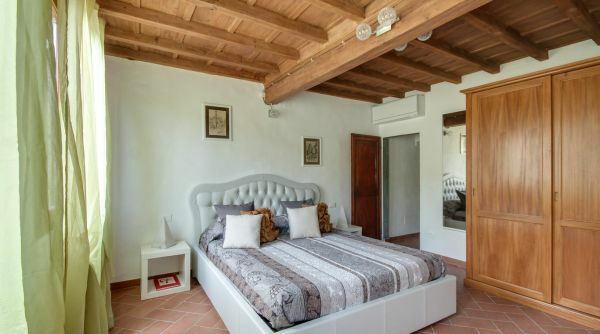 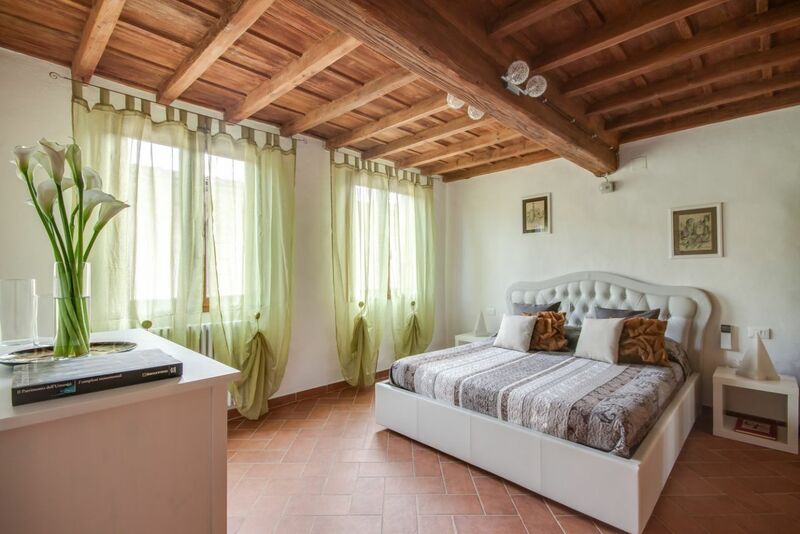 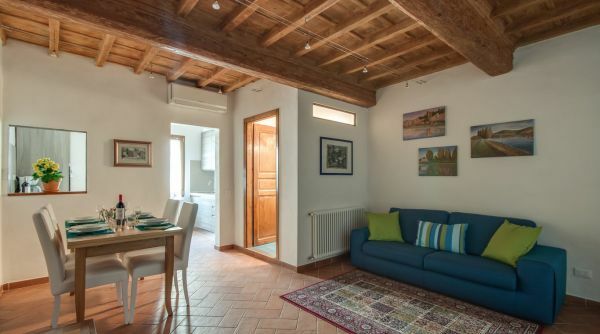 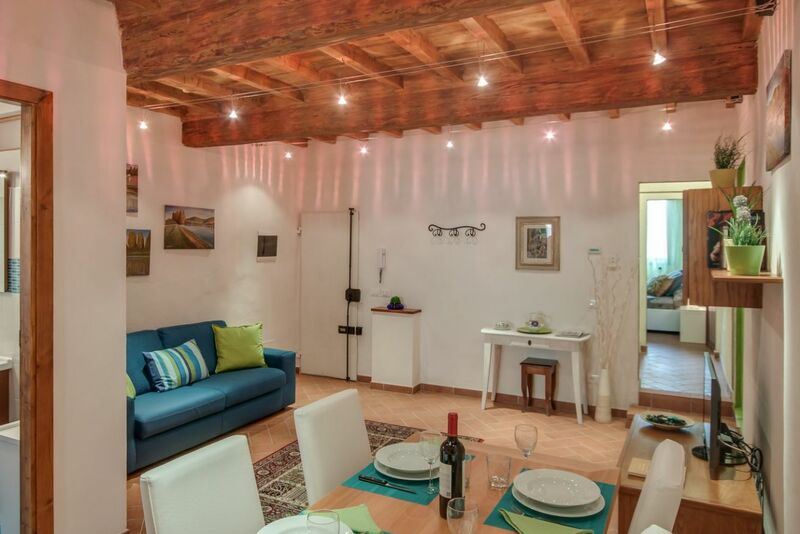 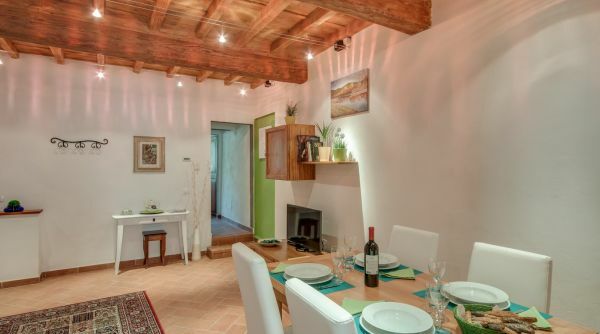 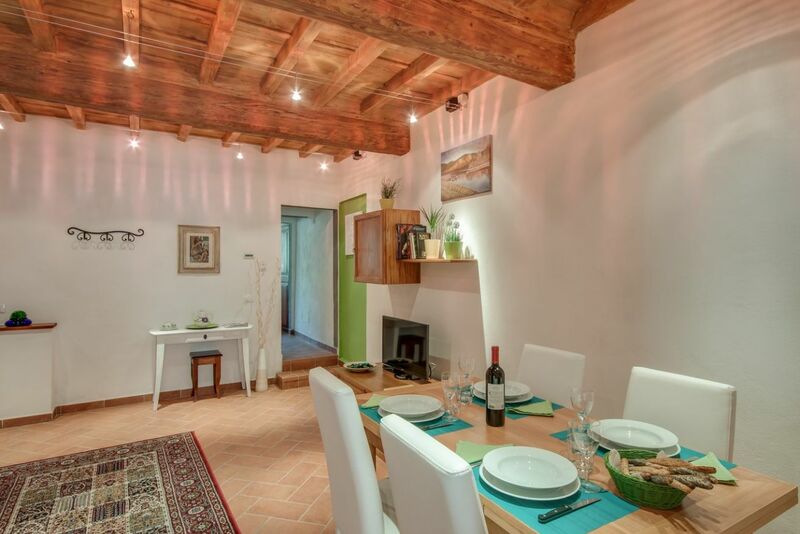 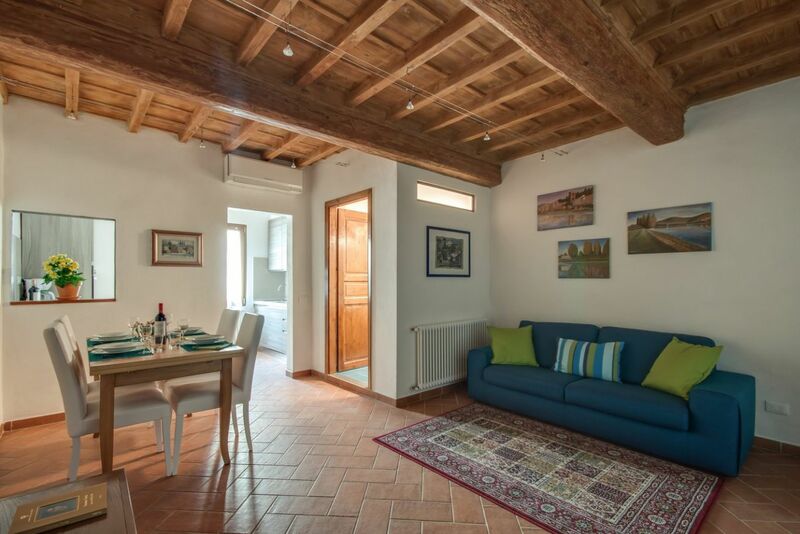 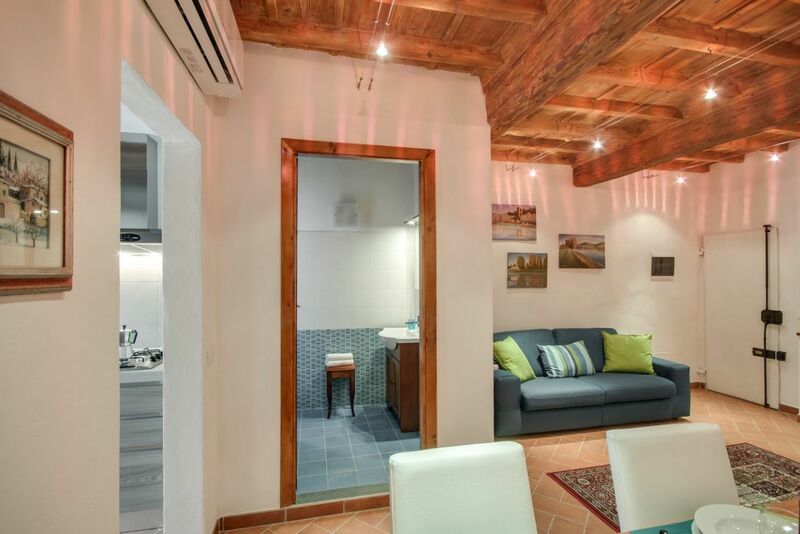 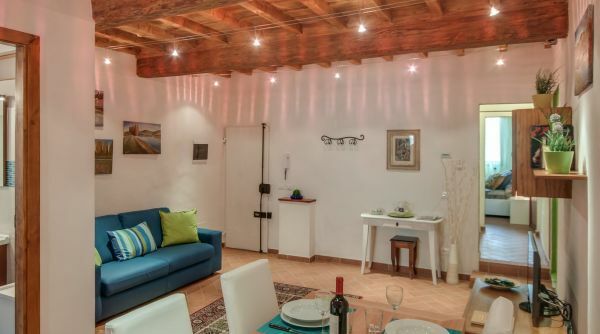 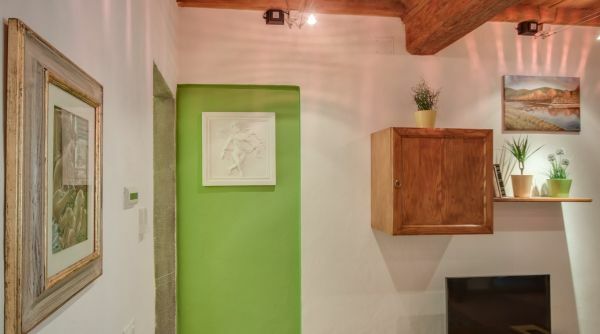 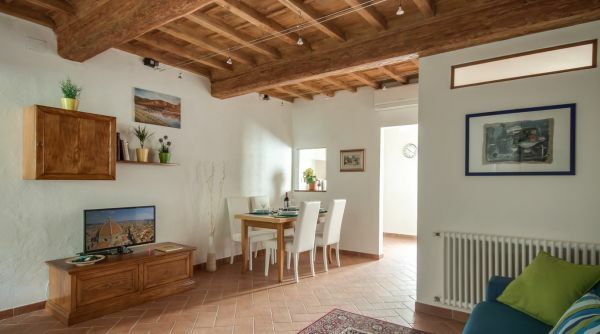 It ' was completely renovated in 2014 and has beautiful ceilings with exposed beams. 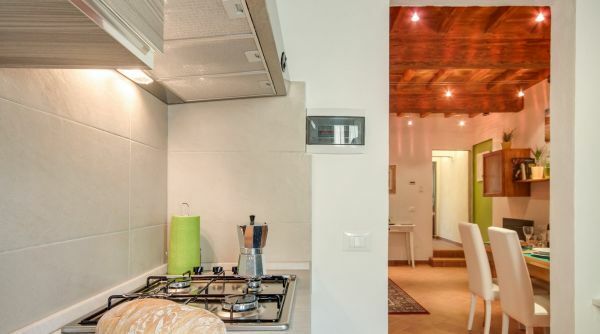 On the right is the kitchen fully equipped with fridge, oven , washing machine, dishwasher and microwave. 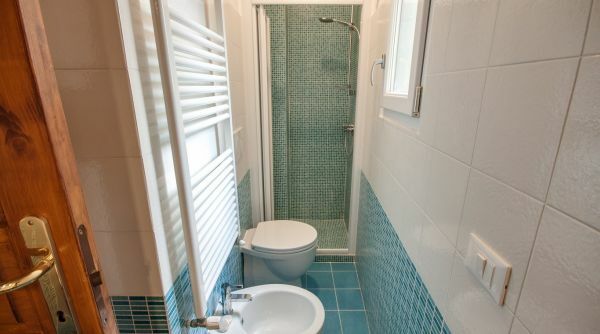 The bathroom has a shower, bidet and all necessary comforts . 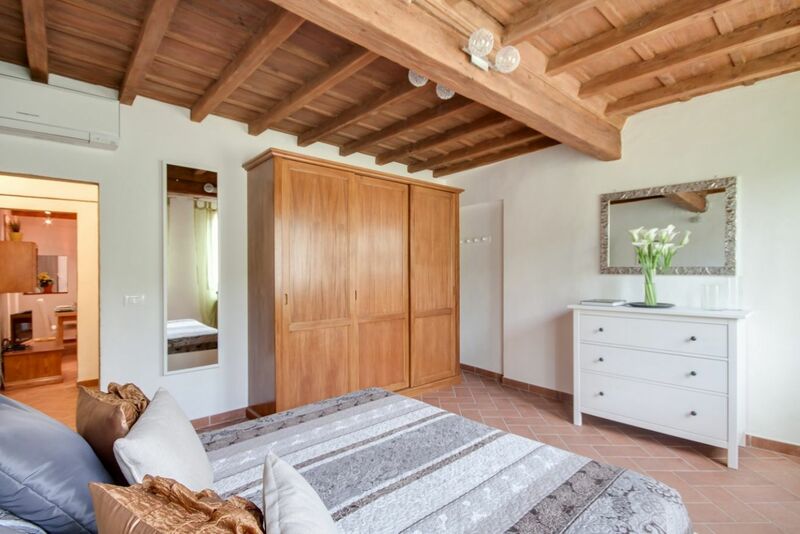 On the left there is a large bedroom with double bed and large wardrobe. 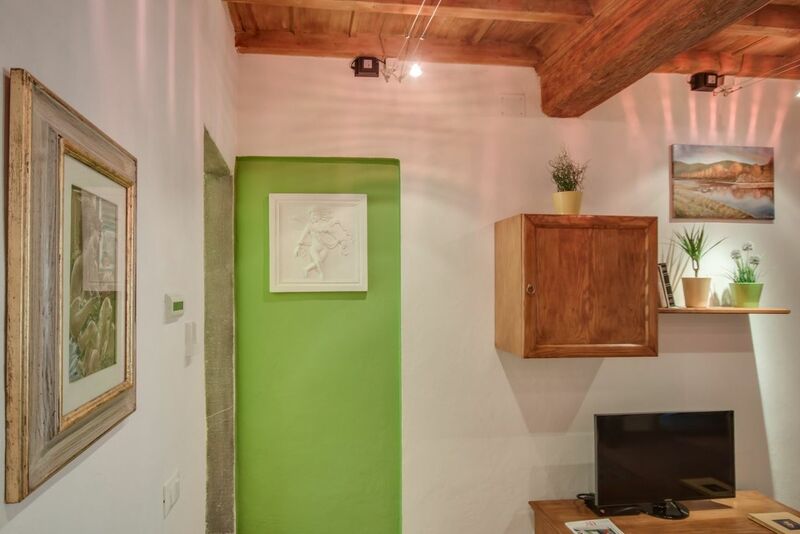 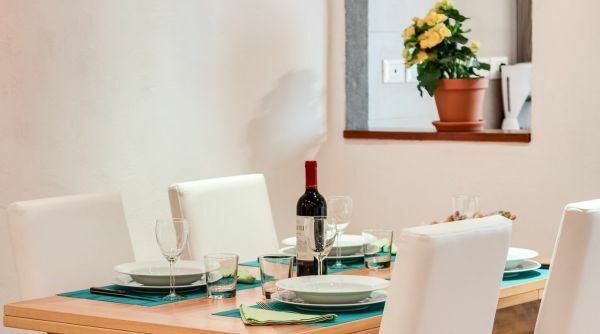 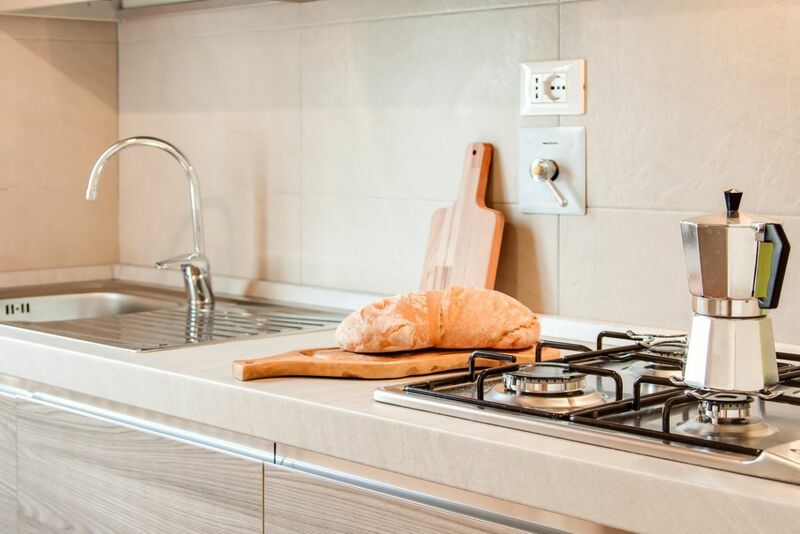 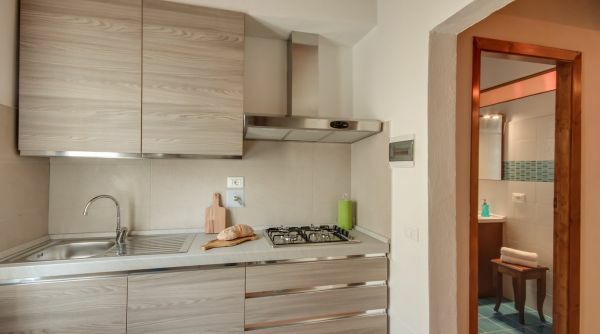 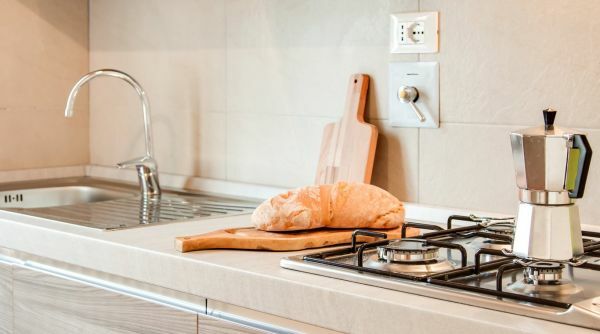 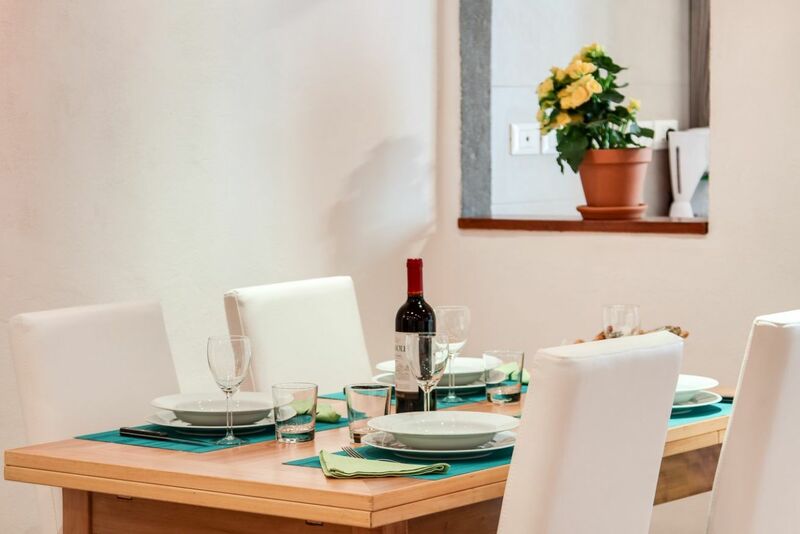 The apartment is equipped with air conditioning ,heating, WiFi and iron. 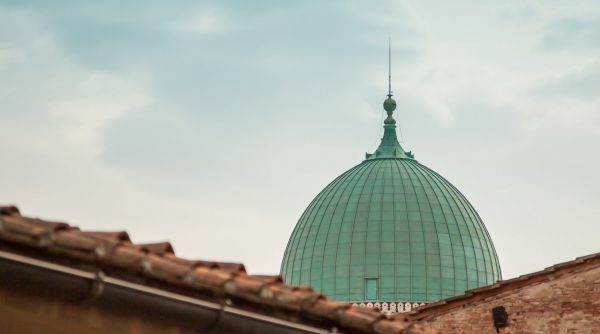 All the monuments and museums are within walking distance. 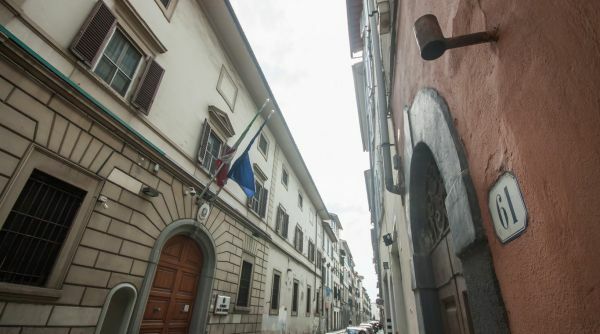 In the area there are many bars and restaurants, supermarkets, specialty shops, as well as the traditional market of Sant'Ambrogio , open every morning . 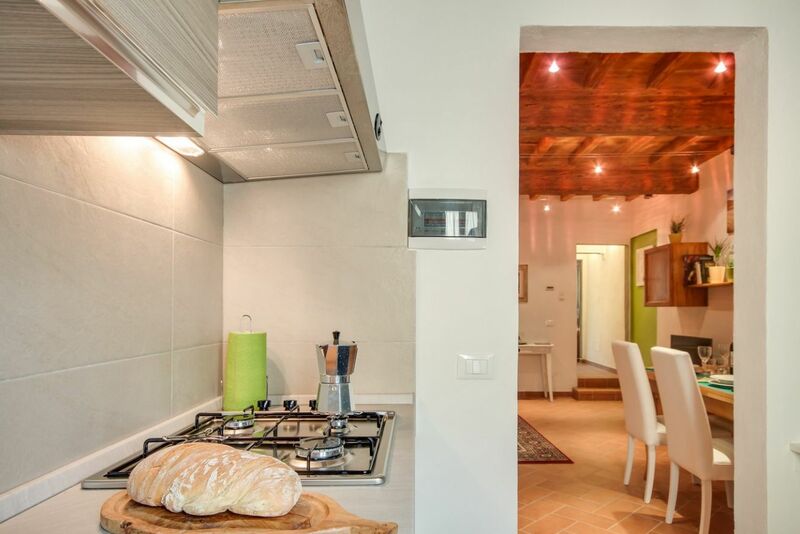 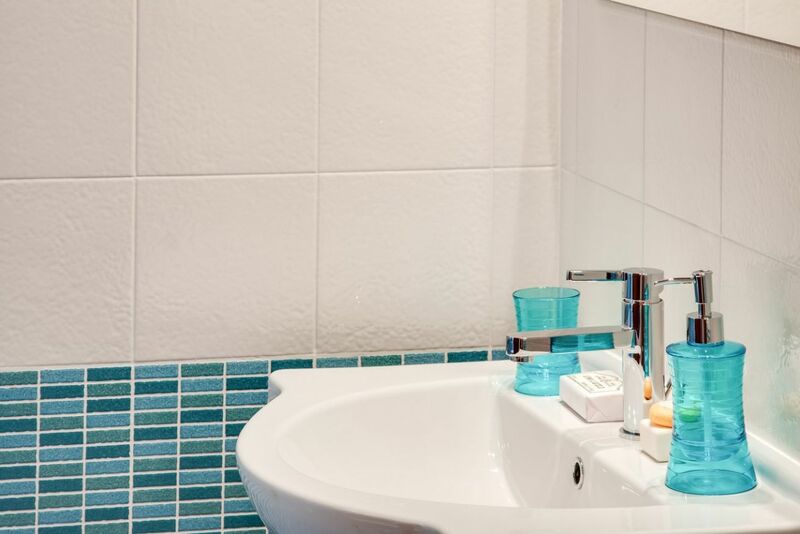 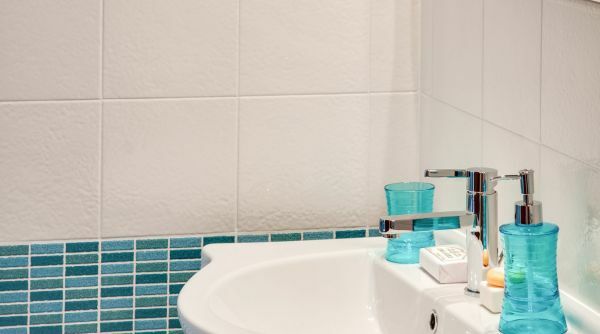 It 's an excellent way to spend a pleasant holiday in the center of Florence , living in an apartment practical and pretty.